Venous disease is a chronic condition, which means that the symptoms can be life-long and can worsen if not treated. There are many types of vein disease, the most common of which are described here. If you are experiencing any type of vein disease, speak with your clinician about the right treatment plan for you. For these conditions, wearing a medical compression garment is a safe and effective way to help treat your symptoms. Telangiectasias, also known as spider veins, are small dilated blood vessels near the surface of the skin. Spider veins can develop anywhere on the body, but are commonly seen around the face and legs. When developing on the legs, they can be a sign of underlying venous insufficiency. Varicose veins are veins that have become enlarged and twisted, commonly found on the leg, though they can occur elsewhere. Veins become varicose when the venous valves no longer work properly and allow blood to flow back and the veins to enlarge. They are most common in the superficial veins of the legs. Varicose veins can also be painful and can lead to more severe venous complications. Varicose veins can be treated non-surgically through use of compression garments, leg elevation, and exercise, as well as surgically through vein stripping and other methods. 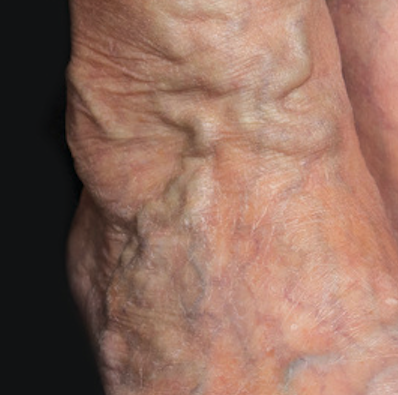 Edema is an abnormal accumulation of fluid in the limbs, which can cause severe discomfort and pain. The swelling most frequently occurs in the ankle but can also occur in the leg and foot. Edema can be non-surgically treated by wearing a compression garment to reduce or eliminate the swelling. 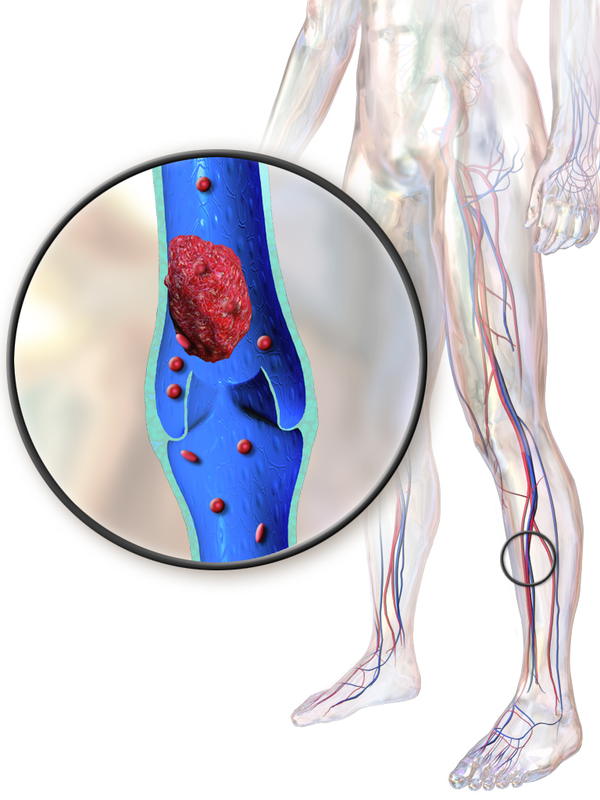 Deep vein thrombosis (DVT) is the formation of a blood clot within a deep vein, most commonly the legs. DVT include older age, major surgery, cancers (especially of the bone), pregnancy, trauma or injury, obesity, infection, and many others. Venous ulcers are chronic wounds that occur due to damaged vein valves. Damaged valves can result in leg swelling and blood pooling in the ankles, which can ultimately cause the skin to break down and form an ulcer. A venous ulcer is one of the most serious results of vein disease and will not heal independently if left untreated. Compression therapy is the highest rated standard of care for venous ulcers, and compression should continue to be worn after an ulcer heals to prevent recurrence. Post-thrombotic syndrome (PTS) is a condition that may occur as a long-term complication of deep vein thrombosis (DVT). PTS occurs when a blood clot organizes around the venous valves in the deep veins and permanently damages them, thereby increasing the pressure in the veins. Common symptoms include leg aching, heaviness, swelling, cramps, and skin changes. Risk factors include older age, previous events of DVT, and obesity, among others. Chronic Venous Insufficiency (CVI) is a condition that occurs when the venous wall and/or valves in the veins are not working effectively, which makes it difficult for blood to return to the heart. CVI most frequently affects the legs and symptoms can include varicose veins, itching, hyperpigmentation, chronic swelling of the legs and ankles, and venous ulceration, among others. Chronic Venous Disease (CVD) is a term to refer to other chronic conditions related to weakened, damaged, or otherwise abnormal veins. 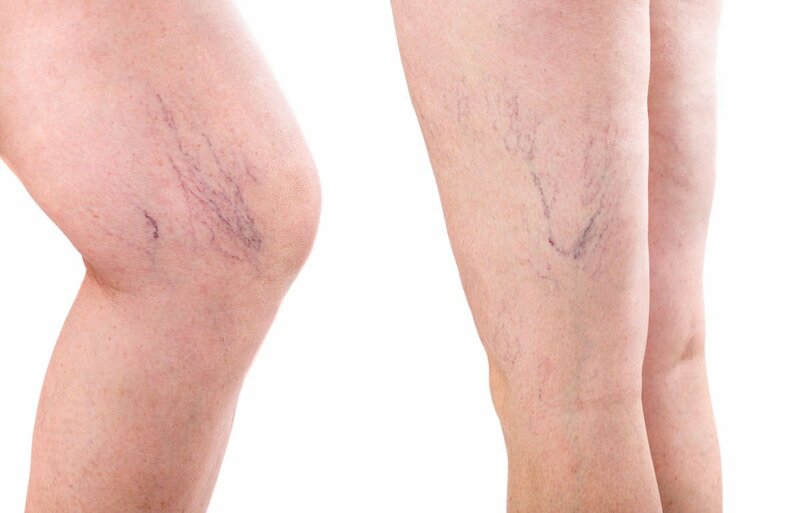 These conditions can include spider veins, varicose veins, CVI, leg ulcers, and others.